The Tiniest Tiger community focuses most of our attention on all cats big and small, but we care for all animals. 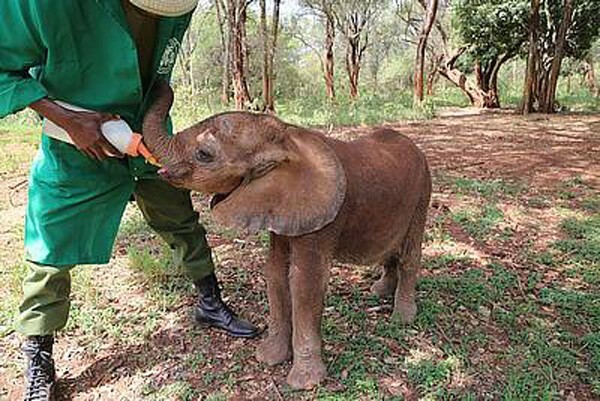 You might already know there is a special place in my heart for the David Sheldrick Wildlife Trust and their work with the Elephant Orphanage in Nairobi. I was able to visit the orphanage when I was in Kenya and see first-hand the love the keepers have for the babies in their care. Sadly, elephants are being murdered at a rate of 1 every 15 minutes. When mothers are murdered for their tusks, the babies are left traumatized, alone, and at risk. Without the elephant orphanage, these defenseless babies would not be able to survive. The Tiniest Tiger community has been fostering Lasayen for several years now. Here is Lasayen’s rescue video. Lasayen continued to thrive under the watchful and dedicated care of his keepers and earlier this year, our little guy graduated to the Voi Reintegration Unit. Here is the video of Lasayen’s graduation. You might need a tissue. Thank you for your support of Triple T Studios, The Tiniest Tiger community is able to support global conservation projects like DWST. Thank you for loving all animals, big and small.